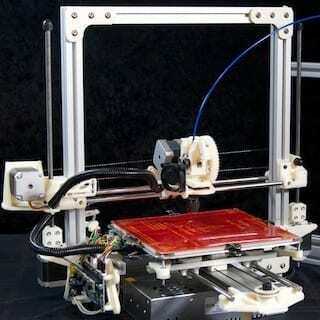 Desktop 3-D printers can already pump out a toy trinket, gear set or even parts to make another printer. Medical researchers are also taking advantage of this accelerating technology to expand their options for regenerative medicine. Brian Derby, of the School of Materials at the University of Manchester in England, details the advances and challenges of this growing field in a new review paper published online November 15 in Science. Researchers have made great strides in coaxing cells to grow over artificial, porous scaffolds that can then be implanted in the body to replace hard tissue, such as bone. Three years ago, doctors were able to coax stem cells to grow over bone scaffolds, which regenerated bone to implant into the face of a teenage boy, who had a genetic defect that left him without cheekbones. But now, instead of relying on poured molds, foam designs or donated biological materials, researchers can print custom scaffold structures with biocompatible, biodegradable polymers. “These methods have allowed us to develop very complex scaffolds which better mimic the conditions inside the body,” Derby said in a prepared statement. Engineers can carefully control the minute, internal structures of these porous scaffolds to best promote cellular growth. And these new printing methods also allow quick and cheap experiments that test various one-off designs. Advancing bio-printing technologies can also be used for the biological material itself. Like color printing, biomaterial printing can switch among different organic materials as well as produce gradients and blending. Inkjet printing is preferred for depositing cells themselves, and as a demonstration of this in the 1980s an unmodified HP desktop printer was used to print out collagen as well as tissuelike structures. Printing, however, is tough on cells. Some studies have successfully kept more than 95 percent of cells intact through the process, but others have not done as well—losing more than half from damaged membranes. The future of bio-printing may be the combination of these approaches—printing both highly specific scaffolds and cell structures. Recent research has shown that stem cell fate can be controlled by the surfaces onto which the cells are printed.